Learn how MyTrucking helped Treloar Transport come to grips with their invoicing and stop revenue leakage. 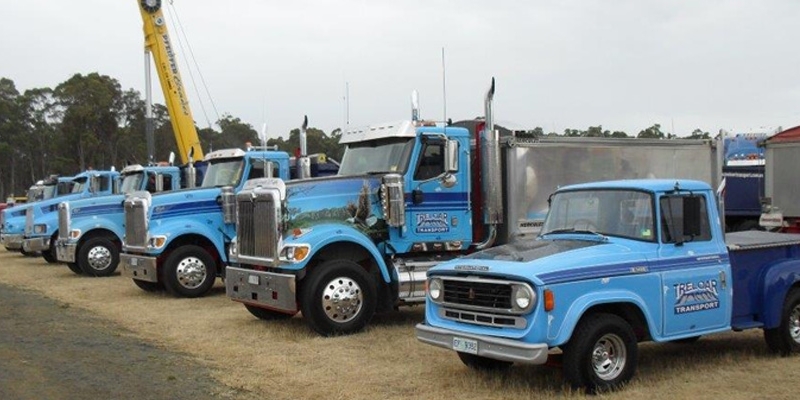 Over 31 years of Experience – Treloar Transport is a family business which has been involved in all facets of construction, civil contracting, earthmoving and quarrying in Tasmania since 1978. During this time the company has developed a reputation for reliability and excellence in customer service delivering a quality product with high regard for environmental issues. We were drowning in paper, and monthly invoicing time was a nightmare. We were forever chasing invoices and payment, trying to get our customers to accept that work had been done within a billing period was really hit and miss. It was clear we needed to automate, and many if the systems out there are just too complex and too expensive. We came across MyTrucking searching for answers on-line. From the first time we got in touch, these guys were all over it. Nothing was ever a problem. Their core strength is the simplicity of it all, from entering jobs, running reports and getting the job to the drivers, it really is just so simple. After using MyTrucking for a couple of hours we knew we’d found it. Really simple, you’re effectively using a diary, so no matter how broken or not your old system is the transition is easy. Our invoicing process has improved out of sight. By creating and sending custom reports out to our customers before we send the invoices we’ve basically got pre-approval for the majority of our invoicing. Cashflow has vastly improved, and the time we spend invoicing and chasing invoices has reduced dramatically. Not sure surprised is the right word, but we’ve certainly got what we needed. Not to harp on the point but how simple they’ve made it is what has really surprised.